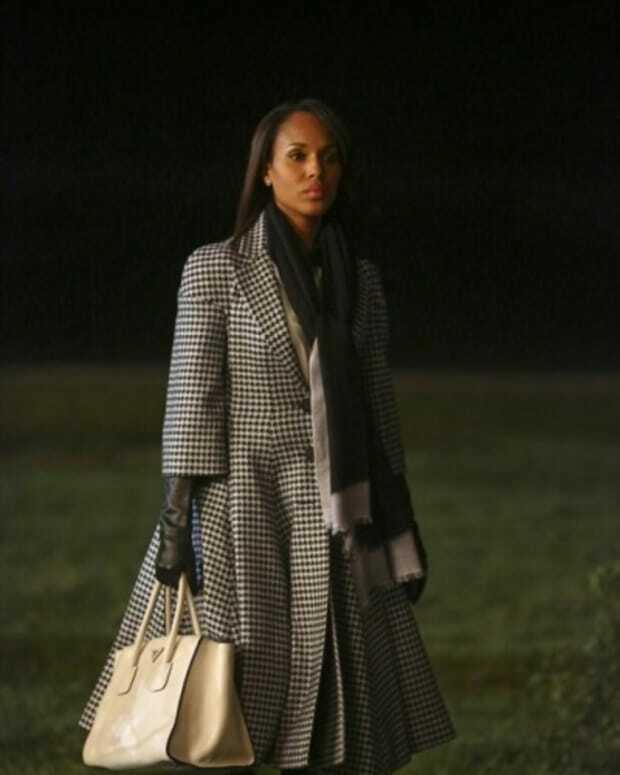 Olivia (Kerry Washington) was starting to unravel. Suffice it to say, she did not handle hearing her lover may have killed her mother, at her father’s request, well. 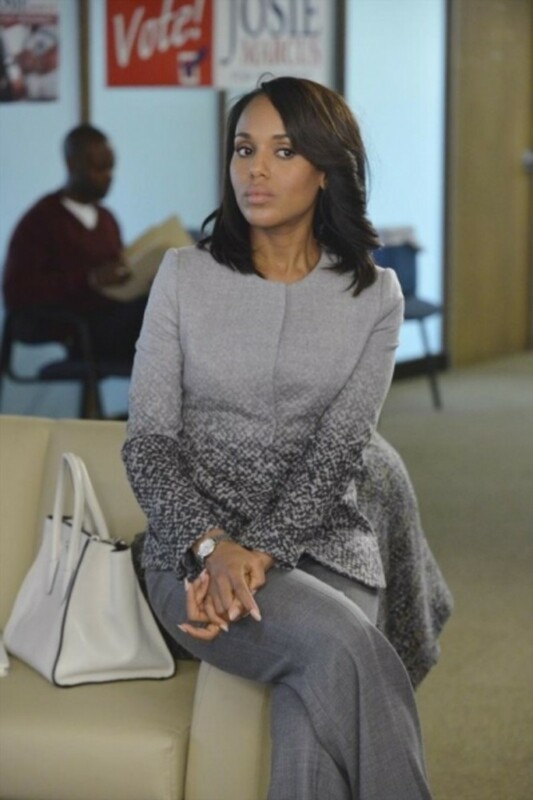 Olivia wanted answers and stalked over to the Oval Office to confront Fitz (Tony Goldwyn) directly. 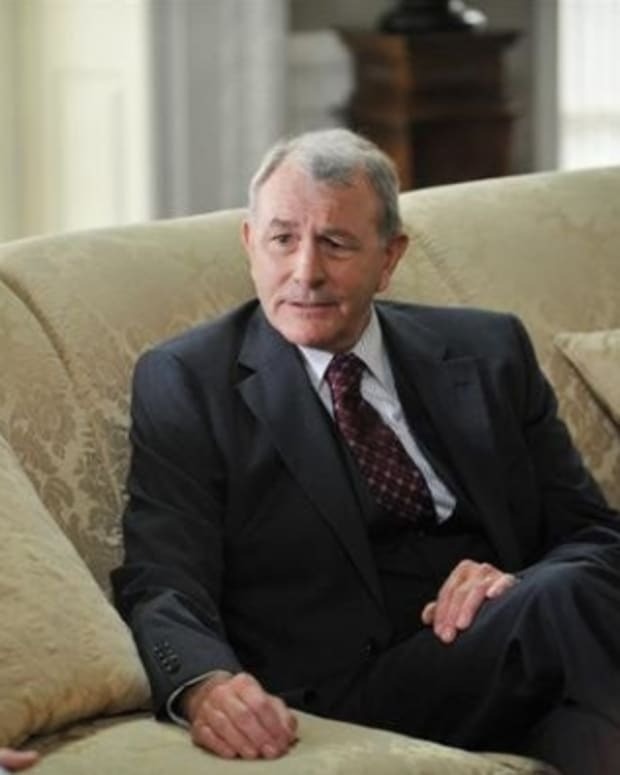 Cyrus (Jeff Perry), Mellie (Bellamy Young), and Fitz had been happy at first because they thought it meant Olivia would work for their campaign. Olivia asked to speak with Fitz only and asked, “Did you fly air support for Operation Remington? Or were you on another mission some place?” As Commander-in-Chief Fitz denied knowing anything. Olivia declined to work for Grant, and left. 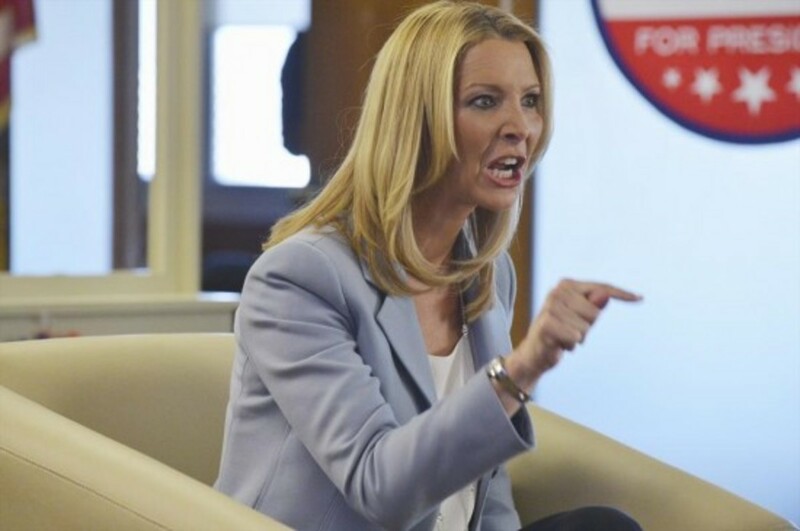 Liv went to the office and told OPA they would be working for Josie Marcus (Lisa Kudrow). Her team was excited to maybe help put the first female president in the White House. Olivia realized they had a problem with Josie though—she was too nice to win. OPA tricked Josie into getting really angry about all the sexism she was experiencing trying to become president. This happened on camera during a live interview with James. Josie’s rant was pretty amazing. It was also a bit sad since all the truths she mentioned, are just as applicable in real life. It looked like Josie was now the frontrunner for the Democratic nomination. Cyrus tried blackmailing Harrison (Columbus Short) to get OPA to drop Josie. Harrison said he was loyal to Liv, and didn’t have that kind of influence over her. Cyrus was threatening to let Adnan Salif back into the country. If I remember correctly, I think this was the shady guy Harrison worked for that got him thrown in jail for insider trading. Could he have gotten such a short sentence because he testified against Salif? Cyrus seemed determine to bring Salif in after Harrison refused to help the Grant campaign. Olivia drank a whole bottle of wine and drunk-dialed her father. She cried about wanting to know something, but being afraid her father would kill one of her friends. Eli (Joe Morton) seemed really broken up about his daughter’s pain, and promised she could ask one question without any casualties. Olivia screamed, “Did you give the order to have my mother killed?” Eli answered no, and refused to answer anything else. If I was Liv I would have asked a nice, long, compound question. I guess we’ll just to blame Liv’s short-sightedness on the alcohol! Later, Fitz showed up at Olivia’s apartment! On the one hand, I was happy since this usually leads to something spectacular in the land of “Olitz.” However, mostly I was just angry at Fitz for acting so stupid—yet again. You’re a confessed philanderer running for president; don’t show up at your mistress’ house! 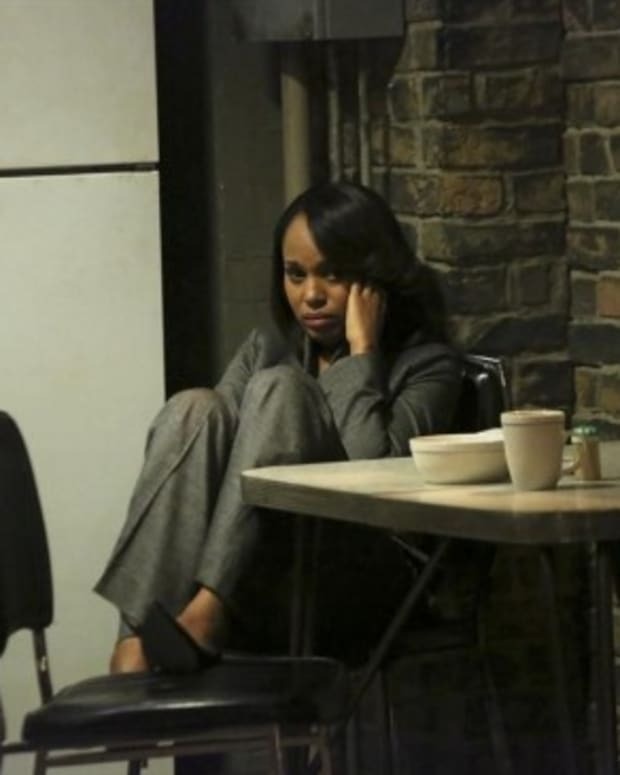 Fitz was there to sweet talk Olivia into working for him again, and resuming their personal relationship. Olivia confronted him about Operation Remington again. She told Fitz one of the causalities from the plane that was shot down was her mother. Fitz seemed upset, but was still steadfast about denying Remington. Fitz refused to give Olivia the answers she needed, and now it looked like their relationship may be over. Elsewhere, Sally was still plotting to run for president. Mellie and Cyrus found out, and plan to use her womanizing husband to squash her. Because Huck’s turned his back on Quinn, she’s now getting closer to Charlie, who’s teaching her to shoot. This turned out to be all Eli’s doing. Also, B613 was trying to kill Jake to stop his digging into Remington. Fitz’s security detail saved his life. When Jake refused to back down though, Fitz told him he could no longer protect him. 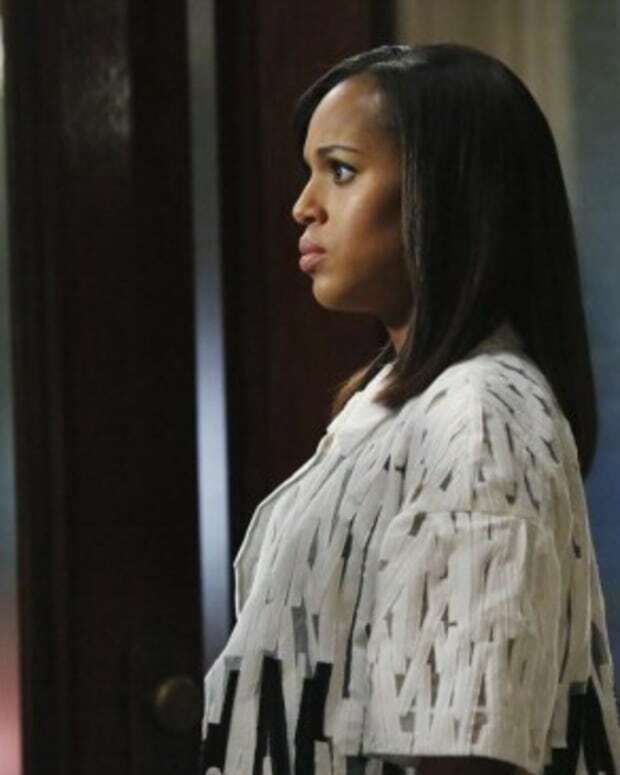 Scandal Recap: "Vermont is for Lovers, Too"
Scandal Recap: "Top of the Hour"